No new suspensions of WhatsApp occurred during 2017 and 2018, following a series of orders to block WhatsApp in 2015 and 2016 for failing to comply with court requests to provide information (see Blocking and Filtering). Facing significant backlash by digital rights activists, President Temer vetoed a controversial provision that would have enabled parties and candidates to force social networks to swiftly remove offensive content by anonymous authors ahead of the 2018 general elections (see Content Removal). As concerns about proliferation of false information surged in the lead-up to the 2018 general elections, several initiatives and legislative proposals emerged to tackle these practices (see Media, Diversity, and Content Manipulation). Brazil’s internet freedom environment improved slightly this year, after judges ceased to impose disproportionate blockings on WhatsApp. However, the online environment in Brazil remained constrained by violence against independent bloggers, criminal defamation laws, and restrictive limits on content related to elections. Despite boasting some of the most progressive and comprehensive legislation on digital rights, Brazil’s "Internet Constitution" has been interpreted as a basis for recurring suspensions of WhatsApp. A trend of application blockings that dominated the previous years, finally ceased after heavy backlash from all sectors of society. These cases resulted in several initiatives – legislative and judicial – to prevent judges from having the power to order nationwide blockings of applications. High levels of violence in Brazil’s urban centers, coupled with impunity for many crimes, have contributed to one of the highest rates of violence against journalists in the region. Online journalists and bloggers reporting on sensitive topics such as corruption continued to be targeted. Internet and mobile penetration rates have increased steadily in Brazil, but significant regional disparities in access persist. An attempt by the government to change the composition of the Brazilian Internet Steering Committee (CGI.Br) by increasing government seats caused uproar within Brazil’s internet community. Following a public consultation, CGI.br in turn submitted its recommendations to uphold the multi-stakeholder governance model. Despite economic growth in recent years, Brazil’s access rates remain below average compared to many North American and European countries.1 Various obstacles continue to prevent many households from accessing the internet, such as high prices charged by service providers and telecommunication companies — a problem that extends to fixed broadband, wireless, and 3G and 4G technologies — and persistent social inequalities. A significant digital divide and disparities in infrastructure are evident among various geographical regions, as well as between urban and rural areas. Over the past decade, private backbone infrastructure, such as that of Oi, GVT and Embratel, has expanded in Brazil.17 In 1998, the state-owned company Embratel, which was responsible for building the internet backbone, was privatized and acquired by the U.S. company MCI; it was later acquired by the Mexican telecom América Móvil in 2003. In March 2017, the Senate passed a bill prohibiting data caps on fixed broadband (PLS 174/2016),27 after an announcement in March 2016 that ISPs would impose data caps on broadband internet had caused uproar among users, politicians and internet-dependent businesses.28 The bill then proceeded to the House of Representatives as PL 7.182/2017.29 It had not yet been approved in mid-2018. Two regulatory agencies oversee Brazilian ICTs in general: the Brazilian Agency of Telecommunications (Anatel) and the Administrative Council for Economic Defense (CADE), an antitrust agency that is focused on reviewing mergers and anticompetitive practices in telecommunications markets.30 The government also created the Brazilian Internet Steering Committee (CGI.br) in 1995, a multi-stakeholder independent organization in charge of coordinating and integrating all internet service initiatives in Brazil, as well as promoting technical quality, innovation, and the dissemination of services. Provisions in the Civil Rights Framework for the Internet (Marco Civil da internet) mandate that the government consult with CGI.br, and in various instances directly involve the Committee, in policy-making and implementation of Marco Civil processes. Anatel is administratively and financially independent, and not hierarchically subordinate to any government agency. Its decisions are only subject to judicial review in national courts. From the Ministry of Communications, Anatel has inherited the powers of granting, regulating, and supervising telecommunications in Brazil, as well as much of its technical expertise and other material assets. In 2016, Anatel initially backed policies establishing data limits on home broadband internet, but backtracked in the midst of public criticism (see ICT Market). CGI.br is formed by government officials, as well as private sector representatives, civil society, and the science and technology community.31 CGI.br’s contributions include comprehensive and reliable annual reports on internet use in Brazil, funding for internet governance-related research, and the promotion of conferences such as the annual Brazilian Internet Governance Forum. In June 2009, CGI.br declared the “Principles for the Governance and Use of the Internet,” which include online freedom, privacy, human rights, and net neutrality as a foundation for the Brazilian information society.32 Many of these principles were adopted into Brazilian law through the Marco Civil in 2014. No new blocking orders against WhatsApp were issued during the past year, following a judicial blocking trend in 2015 and 2016 linked to requests to turn over information as part of criminal investigations by the police. Legal provisions criminalizing defamation and blasphemy and restricting speech around elections continue to impose some constraints on online content. As concerns about proliferation of toxic or false information surged in the lead-up to the 2018 general elections, several legislative proposals and initiatives emerged to tackle these practices. There are no proven indications that Brazilian authorities are filtering messages or engaging in widespread blocking online. Social networks, communication apps, and video-sharing platforms such as Facebook, Twitter, YouTube, Vimeo and Vevo are — for the most part — freely accessible and widely used in Brazil. Although four bills to create a so-called “right to be forgotten” were proposed in Brazil’s Congress, by which search engines would be required to remove links to personal data upon requests by users, legislative proposals had yet to be debated.60 Due to an ongoing political crisis, there has been little progress on the matter. Blogs and social networking platforms have become important instruments for citizen journalists and others to access information, defend civil rights, and express political points of views in Brazil. Brazilians can read news from national and international sources without government restriction. Within such a diverse media landscape, some content providers are neutral and others show bias towards or against the government. Brazil’s Marco Civil Law established a framework for internet users’ rights, but other legal provisions—such as criminal defamation laws and those restricting certain speech during elections—contribute to a legal environment where individuals can face prosecutions for what they write online. In the lead-up to 2018 general elections, a series of bills have sought to criminalize the dissemination of fake news. High levels of violence, coupled with impunity for many crimes, have contributed to one of the highest rates of violence against journalists in the region. 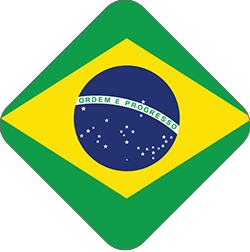 Nevertheless, Brazil has continued to see instances of local officials suing bloggers and online journalists for defamation, which is a crime punishable by six months to two years in prison or a fine according to the penal code.80 Although people are rarely charged or imprisoned for racist or discriminatory speech, Brazilian law establishes penalties ranging from two to five years in prison for practicing or inciting discrimination based on race, ethnicity or religion in the media or in other publications.81 The Criminal Code further outlines punishment for vilifying or mocking religion, with penalties ranging from one month to one year in prison, although it is unclear whether these penalties have been applied online. Defamation lawsuits continued to pose a threat to freedom of expression online in Brazil. Online journalists and bloggers reporting on uncomfortable topics such as corruption frequently face intimidation, including judicial action. Digital rights advocacy organizations have largely supported proposed privacy and data protection legislation. On July 10, 2018, the Senate approved the General Data Protection Act (Bill 53/2018), which President Temer signed in August.97 However, the president vetoed several items of the text, such as the creation of a new National Data Protection Authority, which will be dealt with through another bill.98 The new rules will regulate the use, protection, and transfer of personal data such as name, address, email, age, marital status and property status. In a meeting with a CPJ delegation in 2014, the ex-President Dilma Rousseff committed to support legislative initiatives to grant the federal government authority to judge crimes against freedom of expression and to adopt a “zero tolerance” policy toward violations of freedom of expression.106 Since then, the 2015 conviction of the murderers of José Roberto Ornelas de Lemos, the administrative director of the daily Hora H, has been considered a benchmark for justice and human rights. Lemos was shot at least 41 times in 2013 after writing about the spread of militias allegedly led by corrupt police officers in the suburb of Nova Iguaçu. In November 2015, police arrested six people accused of running a militia believed to be directly linked to Lemos’ murder. The arrests also resulted in the creation of a new homicide division in the city.107 However, most investigations and prosecutions still only target the direct perpetrators of crimes, allowing planners and other accomplices to escape justice. 60 “Direito ao esquecimento: Lembrando da Liberdade de Expressão” August, 10, 2016, https://goo.gl/JwChiQ; See also: Instituto de Tecnologia e Sociedade, “Direito ao esquecimento: o mundo todo precise esquecer?” Brasil Post (blog), August 8, 2015, http://bit.ly/1Hofb7Y; See also the Proposed Bills: Câmara dos Deputados, Projeto de Lei 7881/2014, http://bit.ly/1QAItH8; and Câmara dos Deputados, Projeto de Lei 215/2015, http://bit.ly/1JjdKNY. 68 Internet.org changed its name to Free Basics in September 2015.